The most versatile all-round charger, truly "connect & forget"!! Tecmate brings you the Optimate 1 Duo trickle charger, a true “connect & forget” automatic charger/maintainer. 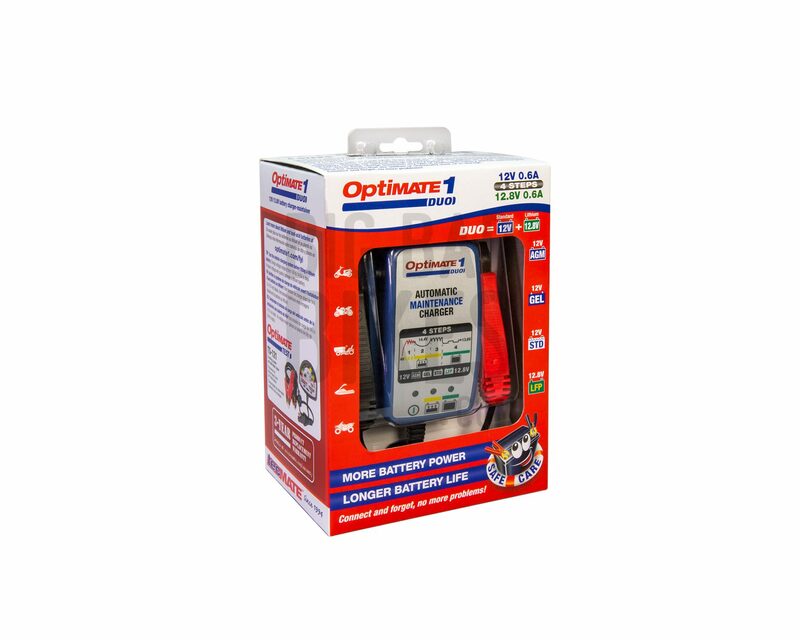 The Optimate 1 Duo is compatible with both traditional lead-acid batteries (standard, wet cell, sealed AGM, GEL) amd 12.8-12.2V Lithium batteries (LiFePO4). 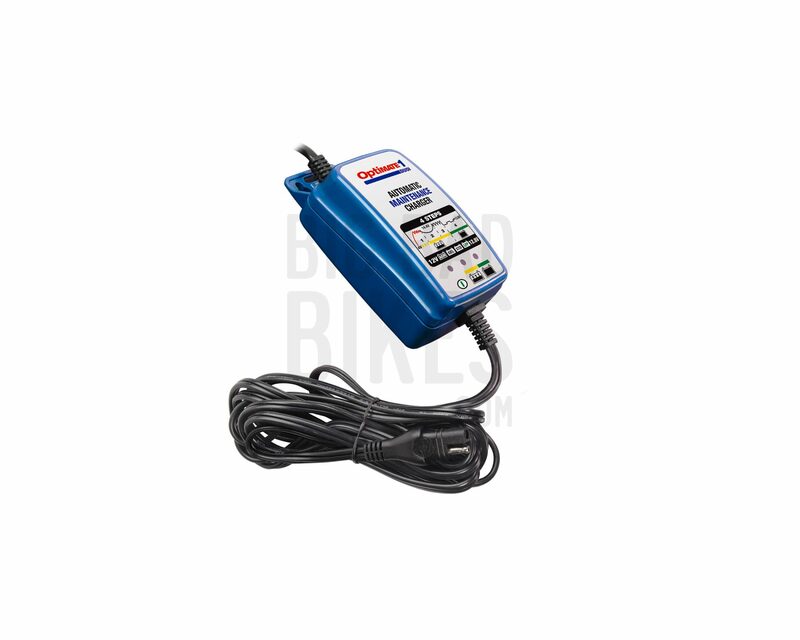 OPTIMATE 365 MAINTENANCE – Once the battery has been charged and optimized, the Optimate 1 Duo switches into an inter-active float charge that will maintain any powersports battery without ever over-charging it! 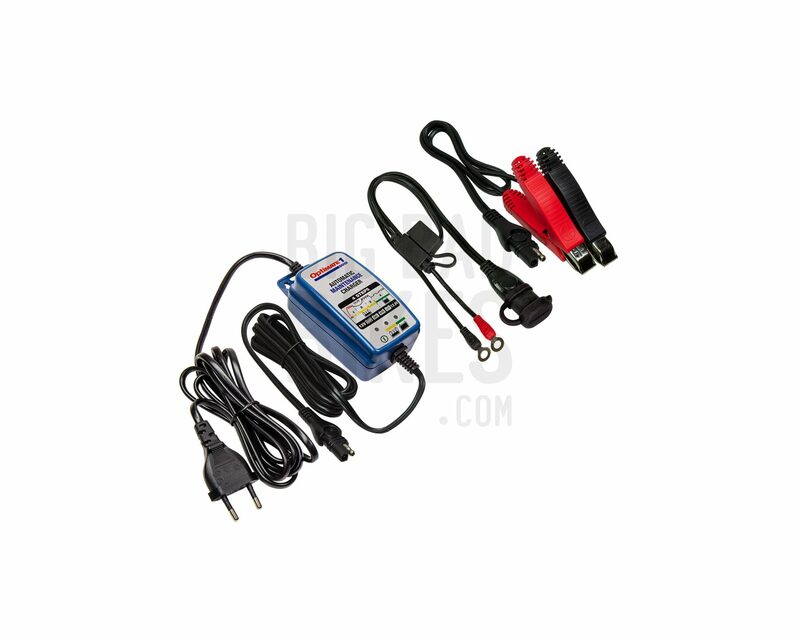 All Optimate Chargers come with a set of SAE battery leads (to charge your battery while still on the bike) and a set of SAE – crocodile clips leads (to bench charge your battery) , giving you loads of flexibility on how you charge your battery. All Optimate Chargers have an integrated wall mount bracket so you can make sure that the charger is mounted at an optimum position and is visible at all times when connected.